Fill the festive period with family and friend-wide laughter with this hilarious Christmas themed Festive Face Mat collection, complete with a number of nose-clip characters and animals to instantly turn adults and children alike, into something worth chuckling about! Festive Face Mats contains 20 different clip-on cards, featuring an impressive 40 character faces! Simply clip the face mat onto your nose in a comfortable manner and it will hang seamlessly to create the illusion that the bottom half of your face has changed! 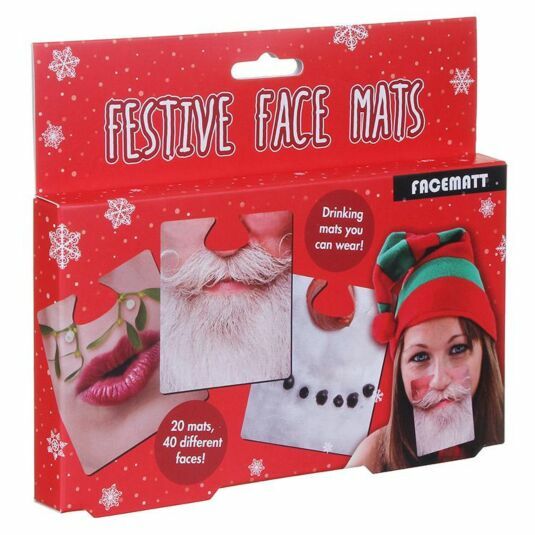 From Rudolph to a snowman, Santa and many more, both adults and children will love playing with the wide selection of faces that double up as drinks mats too! 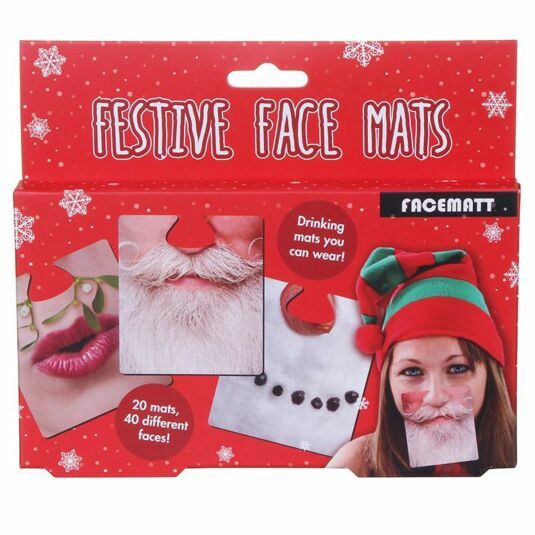 A brilliant way of brightening up Christmas day, Boxing day and the New Year, these Festive Face Mats are a great stocking filler and secret Santa gift for both the home and the office, ideal for both children and adults with a great sense of humour!